Plan a ceremony to renew your wedding vows ! The symbolic ceremony is made for you if you wish to pronounce once again your wedding vows, several years after your wedding, in front of your friends and family. Wedding anniversary or second wedding, no matter the occasion you can celebrate your love and gather the persons you hold the dearest for a joyful and romantic moment. Celebrate your love together, as an intimate wedding or a big event with friends and family. 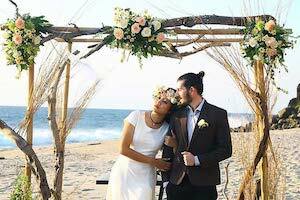 The vow renewal ceremony is another step in a life; it allows you to take a step back and celebrate your couple story, and to thanks your loved ones for what they mean to you. It is also a new promise for you and your partner, the desire to pursue the life together, stronger than ever. Please contact us to organize your wedding vow renewal ceremony ! 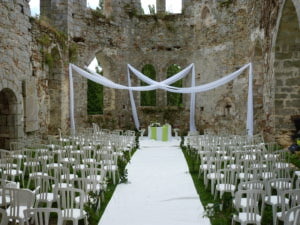 Flovinno is an event agency specialized in wedding planning on the French Riviera, Paris Area and Normandy.